I had a hard time finding the jewelry and I worked hard to find the perfect frame. I liked how it looked. It looked antique. It represents adventure. 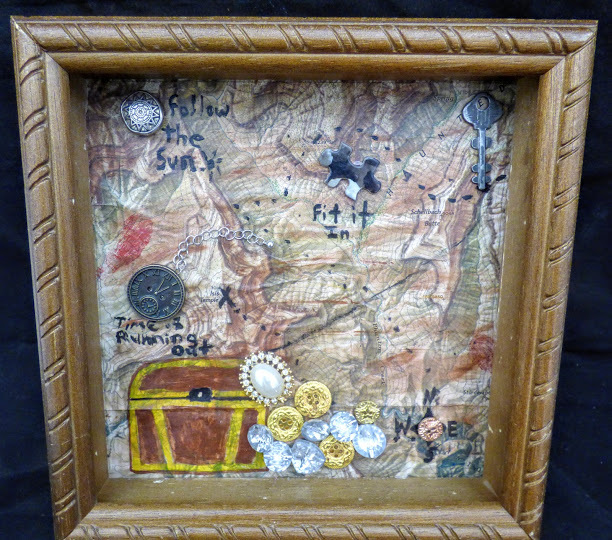 I like treasure maps and books and that is what inspired it.